Caribbean Chocolate Cake. 3 words that have become synonymous with Siren over the past few years. It’s everyone’s favourite seasonal stout. CCC (Because I’m not typing it out every time) began life way back in 2014 when Wayne Wambles from Cigar City in Tampa, Florida, came over for a collab. Forming in 2008, Cigar City are well known for their use of wood; we wanted to make sure this element made its way into the collab. At the time, we were all about putting beer into wood, as part of our barrel-program, but this time we’d be putting wood into beer. That first brew was billed by Darron as “the most expensive beer in the world… ever”. It was packed with experimental hops, important Dominican Cacao nibs and an enormous amount of Cyprus wood. Fast forward 4 years and once again, our big beauty of a tropical stout is back. And this time, it brought some friends. First up is the original and classic. If you’ve not yet had the pleasure, then you’ll find CCC is a dense, rich and luxurious stout, aided by the hand roasted cocoa nibs from the esteemed Willie’s Cacao. Pure bottled indulgence. 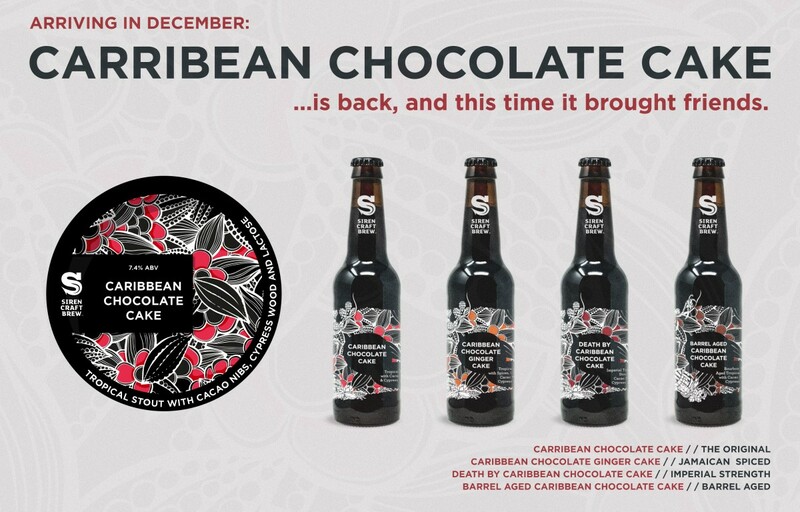 This beer is a new spin on CCC, inspired by Jamaican Ginger Cake. We’ve added 30kg of Ginger, along with muscovado sugar and carefully selected spices that together with the milk chocolate indulgence make for a treacle-like treat. This is an amped-up version for all you impy-stout fans out there. There’s even more hand-roasted cacao nibs, even more lactose, even more bottled indulgence. This is the big one. Last but not least, the barrel aged version, which has been ageing in a selection of bourbon barrels, picking up delicious vanilla, whiskey and wood character. So there we have it... Check out this featured event post for where you can find CCC launching, we promise you there won't be much about for long, this one is going to FLY out. Bottles will be online soon!